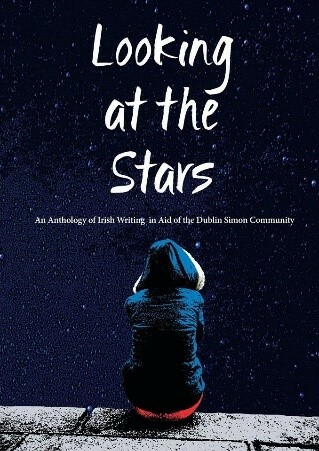 Looking at the Stars is a limited edition anthology of Irish writing edited by Kerrie O' Brien and Alice Kinsella to raise money for the Rough Sleeper Team of the Dublin Simon Community. It features a mixture of poetry, prose and non-fiction from a host of incredible Irish writers but, most importantly, it will also feature writing from those currently in the services of the Dublin Simon Community. 1000 copies of the anthology have been printed. They cost €15 each and as the full €15 goes directly to the Dublin Simon Community our goal is to raise €15,000. This project has been funded entirely by The Munster Literature Centre, Dublin UNESCO City of Literature, Poetry Ireland and The Irish Writers' Centre. Looking at the Stars is AVAILABLE NOW in Dubray Books, Books Upstairs and The Gutter Bookshop. You can order it exclusively online from the wonderful Dubray Books.